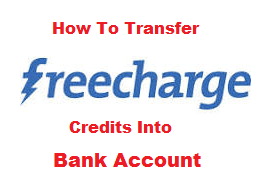 Hello Dealsnloot Readers,We all know freecharge credits which you earn from recharge are not transferable to bank. But there is a alternate method of transferring.Now Udio is Providing Bank Transfer also but using “NEFT” Transfer which take 2-3 hours of Transfer money to Bank during Bank Timing and 1 working day if Transfer done after 06:00 pm. So Hurry up and Transfer your Money.So Grab This Loot Trick and Transfer Your Freecharge Credit To Bank Cash. Update :- Please Transfer your Money as Soon as Possible because Freecharge block Udio wallet anytime. 7. Enter your bank details and transfer your money. 1) Udio wallet is Safe and Verified by us. 2) We are Not Responsible for anything damage. 3) Please Try this Trick at your Own Risk. 4) You can Transfer upto Rs 2500 in a Day.